Alex Williamson (or Shooter Williamson as his YouTube fans know him), is a multi-talented verifiable YouTube sensation. With more than 35 million views and more than 370,000 people who have signed up as subscribers to his YouTube channel, as well as over 575,000 Likes on Facebook – he’s running hot and the public love his work. 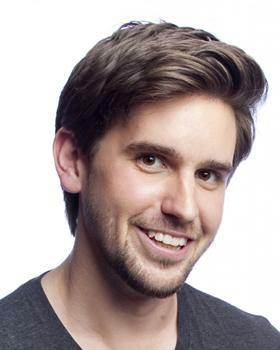 Alex began performing stand up in 2007, going on to be a state finalist in Triple J’s 2009 RAW Comedy competition. He then transitioned to radio, with a show on SAFM as well as Austereo’s digital comedy station Barry. He then relocated to Los Angeles where he performed duties for The Hot Hits shows live from LA, gathering content from various A-List celebrities (including Jennifer Aniston, Peter Jackson… and the Muppets!) at red carpet events. Alex completed a degree in Filmmaking at Flinders University in 2008, and his live comedy and radio experience along with his talents as a filmmaker, provided a unique platform for him to launch himself onto the internet via YouTube and all the major social media platforms, where he has also showcased his musical abilities (piano and guitar), acting skills and singing talent. In 2012, Alex commenced another transition in his career, which saw him bring his various YouTube characters, songs and stand-up comedy to life in a hilarious live stage solo show, Alex Williamson and Friends. This and his subsequent live shows have sold out shows at all the major comedy festivals since 2012. Alex has gone on to tour regional Australia as well as all capitals, leaving a trail of sold-out theatres in his wake, before heading on to the 2013, 2014 and 2015 Edinburgh Fringe Festivals, where on his debut he was called “the future of comedy” by the most notorious reviewer in the UK, The Scotsman’s Kate Copstick. Alex completely sold out his 2015 Edinburgh Fringe season. Alex had a starring role in his first feature film - Me & My Mates Vs The Zombie Apocalypse – alongside Jim Jefferies and Greg Fleet, which has already achieved cult status since its release in August 2015.